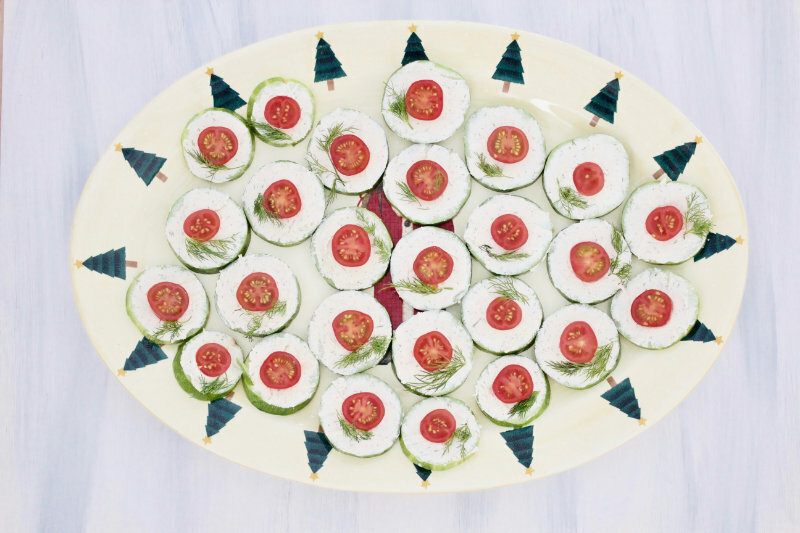 Do you need a quick, healthy snack to serve on Christmas Day before the big meal. 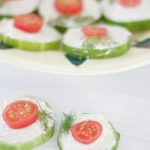 These light cucumber canapés are refreshing and have a great flavour burst with the sweetness of dill. If you’ve never used fresh dill it is a soft, feathered plant with a flavour that pairs well with cucumber, tomatoes, cheese and yogurt. My friend, Kaspa, gave me a huge cucumber and some cherry tomatoes from his garden and I wanted to create something that I could share with him. These are the perfect bite-size snack to have with a glass of bubbles on Christmas Day (or any day, really). The cucumber and tomato were fresh from his garden and the flavour is not like you can get from store bought veggies. But, if you don’t have a beautiful friend like Kaspa, or you don’t grow your own veggies then these will still be amazing. Go on, just try it. Because I was a little short on time I bought a jar of cashew cheese but if you want to make your own try my sun-dried tomato cashew cheese. These will only take a few moments to prepare, so if you have fresh cucumber, tomatoes and a jar of cashew cheese in your fridge you could be eating these in less time than it takes to pick up a bag of chips from the supermarket. The cashew cheese, whether you make it yourself or buy it, will last a couple of weeks, so it’s worth having some stored in the fridge. 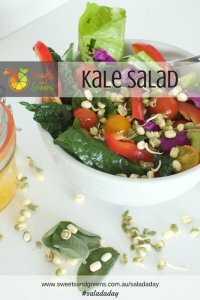 It’s a much healthier snack than something fried or baked. 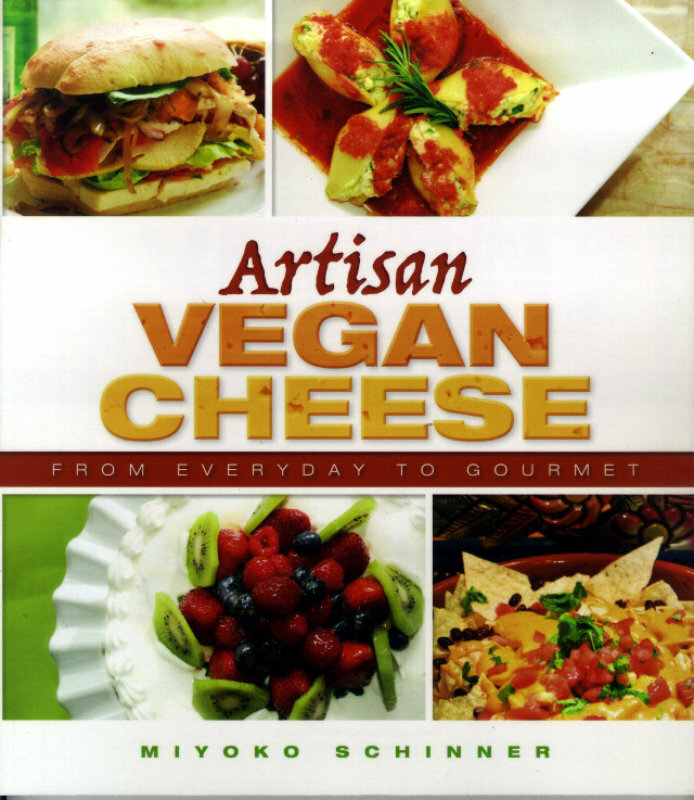 For more cheese recipes have a look at this book by gourmet restaurateur and vegan food expert Miyoko Schinner who shares her secrets for making homemade nondairy cheeses that retain all the complexity and sharpness of their dairy counterparts while incorporating nutritious nuts and plant-based milks. Slice the cucumber into ½ cm thick slices. Spread cashew cheese over each slice. Slice cherry tomatoes into thirds and place one piece on each cucumber slice. 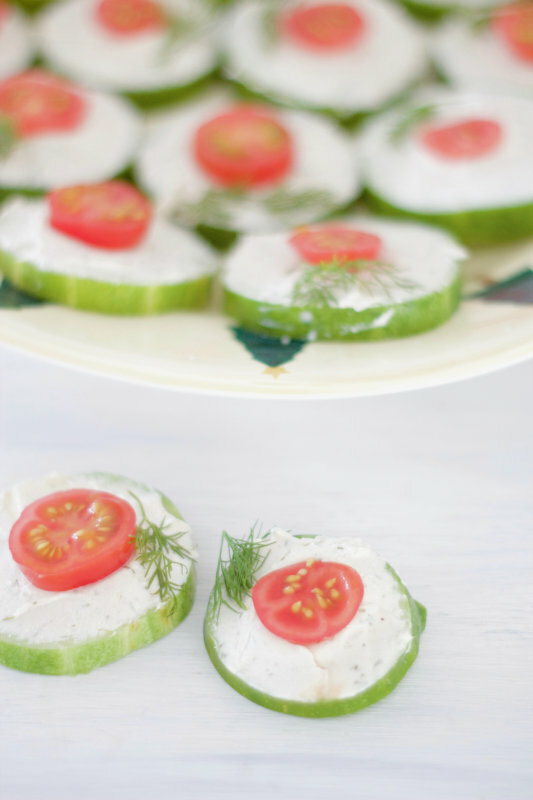 Decorate with fresh dill leaves.